Endangered and invasive species may be better managed in the future with new techniques outlined by a Texas A&M University scientist and others. 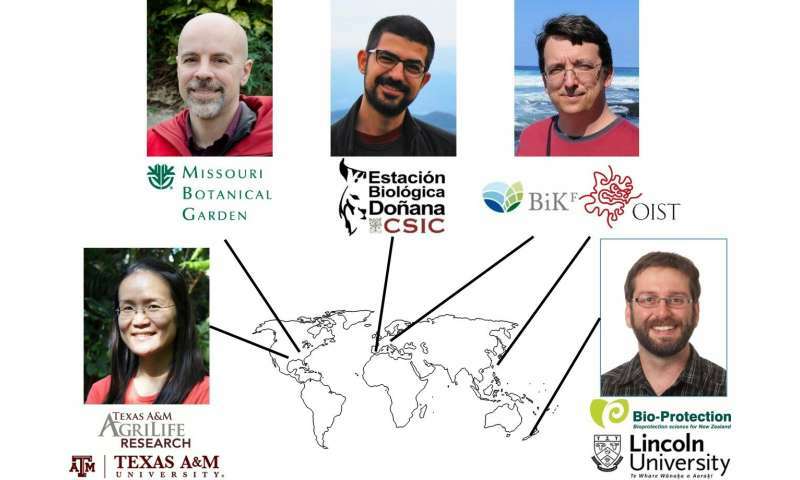 Texas A&M department of wildlife and fisheries research scientist Dr. Hsiao-Hsuan "Rose" Wang and four international researchers teamed up during the National Institute for Mathematical and Biological Synthesis to publish an article in Trends in Ecology & Evolution highlighting "Niche Estimation Above and Below the Species Level." The "ecological niche" describes how an organism or population responds to its habitat and its distribution of resources and competitors, and in turn, how it alters those same factors. Reaching beyond the species level would assist in introducing endangered species to habitats beyond their normal realms, Wang said. This could provide an opportunity to conduct field surveys and/or implement endangered species restoration and reallocation plans. And with invasive species introductions, vulnerable habitats could be identified for control and prevention strategies. Wang focuses on the application of techniques in endangered species management, management of invasive species and vectors of emerging diseases. "For example, my colleagues and I have estimated the niches of an endangered species, Navasota Ladies' Tresses; a native and economic species, Loblolly pine; and an invasive species, Chinese tallow tree," Wang said. "Ideally, we should estimate a species' niche/range by considering information above or below its taxonomic level." "Many ecologists have been trying to estimate where a species can sustain itself under climate change," Wang said. "Ecological niche models (ENMs) and species distribution models (SDMs) are two of the most popular tools in ecology and evolution used to address diverse research questions such as niche evolution and conservatism, invasion and extinction risk, and impacts of climate change on species distributions," said Dr. Adam Smith, ecologist, Center for Conservation and Sustainable Development at the Missouri Botanical Garden in St. Louis, Missouri. "For example, if we could preserve some habitats for Navasota Ladies' Tresses where the results of ENMs/SDMs suggest good locations, we potentially could reallocate some Navasota Ladies' Tresses there," Wang said. "Also, we could use some future climate or urban sprawl scenarios in ENMs/SDMs to see the potential decrease of Navasota Ladies' Tresses habitat." In the study, http://bit.ly/NicheEstimationAboveBelowSpeciesLevel, three strategies were reviewed for incorporating evolutionary information into niche models. "We hope the approaches we reviewed become adopted by the conservation community because it will help them design better conservation plans," said Smith. With ENMs and SDMs popularity, one of the assumptions is that the species have the same responses to the environment in different locations, noted Wang. "Unfortunately, it is not always true, especially for invasive species," she said. "Therefore, my coauthors and I hope this collaborative work will provide guidance on which modeling strategy is appropriate under a range of ecological and evolutionary scenarios."